All Granola is not equal. It might be labelled ‘Organic’, ‘Gluten-Free’, called Natures healthy something, you might have bought it in a health food shop but look a bit more closely and it might be anything but healthy for you. Beyond the clever packaging, read the tiny writing on the label and you’ll often find it contains one or more of the following nasties: refined sugar, colourings, artificial sweeteners, sulfites, nitrates, food colourings, preservatives, trans fats and hydrogenated oils. All of which can cause inflammation in your body (the root cause of most illness and disease), can mess with your metabolism making it hard to lose weight and energy levels and even stop you absorbing key nutrients and vitamins. Hmm not looking so ‘healthy’ now is it? 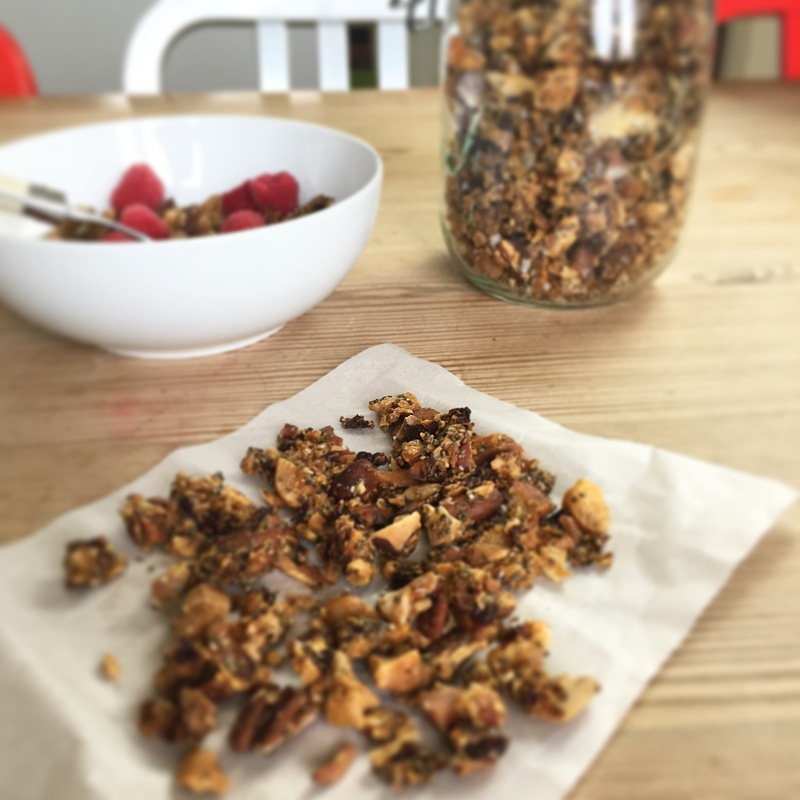 But the good news is granola is super easy to make at home containing lots of taste, goodness and super nutrients and at a fraction of the cost of anything you can buy in a shop. I also buy my nuts from Lidl which helps keeps the cost down. I love granola as a treat for breakfast and also use it as great crunchy sweet topping sprinkled on puddings, salads, courgetti, cauli rice risotto, ice cream… the list is endless. My granola recipe is naturally grain, gluten, refined sugar and dairy free with the added bonus of Chia. Linseed and Sunflower seeds which not only do a brilliant job of combining the ingredients into little clusters but also have the added bonus of lots of super nutrients, vitamins, anti oxidants, fibre, omega 3 fatty acids and are a great source of calcium. Activating your nuts (?!!! hmm yes that’s right ) might seem like a bit of a faff and an easy step to bypass but in reality all you need to do is leave them to soak for 12 hours, not really an effort for 2 major health benefits that are eliminated by activating them. #1 Nuts contain phytic acid which can stop the body absorbing nutrients #2 Nuts contain an enzyme inhibitators called protease or trypsin that can make the body work much harder to create the enzymes needed for proper digestion, causing stress on the pancreas and potentially lead to cancer. So grab your nuts and give this crunchy granola a try. It’s a big hit with my whole family and enjoyed for breakfast nut milk, goats or dairy free yoghurt, berries and raw honey. Delicious crunchy clusters of nuts and raisins full of super nutrients, vitamins, antioxidants, fibre and omega-3 fatty acids. Makes enough to fill a 1 Litre Kilner jar. 3 x tablespoons of good quality 100% pure Maple Syrup (this is very important as lots of Maple syrup that isn’t 100% isn’t made from Maple sap but is just refined sugar). I use Buckward. 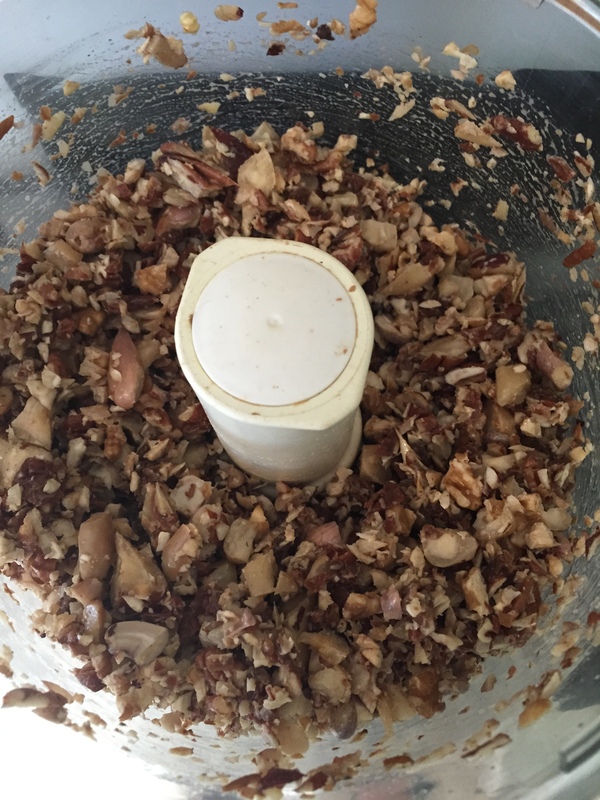 Leave your nut and raisin mix to dry then crush them (so you are left with broken pieces of nuts) using a food processor or by hand with a rolling pin. Pre-heat your oven on its lowest heat and cover a large roasting tray with grease proof paper. 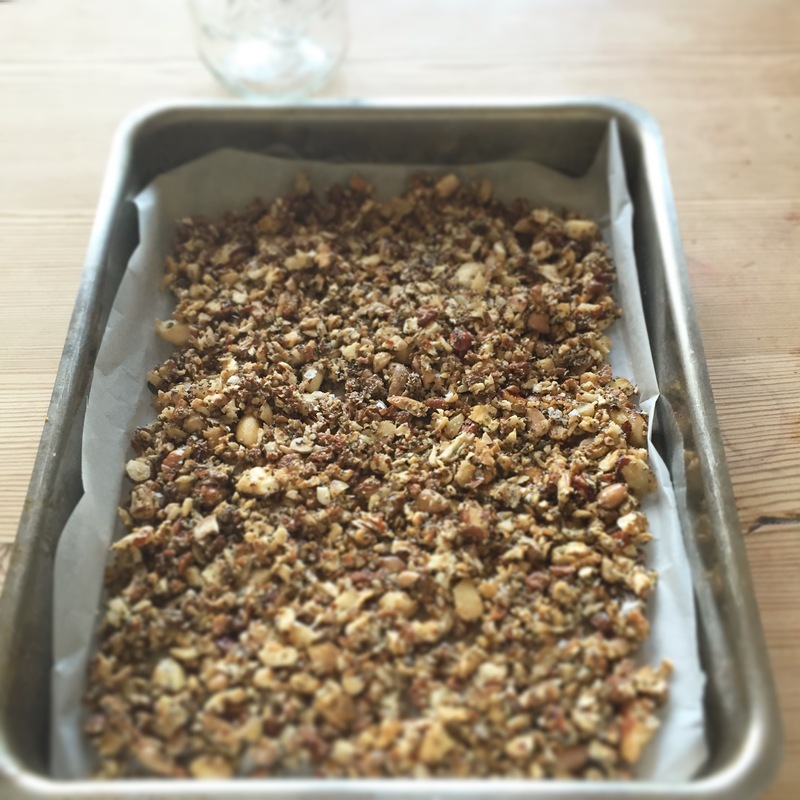 Evenly spread out your granola mix on the grease proof paper and place in the oven on the lowest heat and gently roast for 4 hours giving it a quick toss every hour or so. Check your nuts if you prefer them more crunchier leave for longer (up to 6 hours) checking it hourly. Leave to cool and store in an air tight container for up to 4 weeks. Very nice Tabitha. My girls love granola but I find it generally doesn’t agree with me and I often wonder why….and I do buy a health food store brand. Perhaps a closer examinations of the ingredients is in order! I have always found the same too Lisa and suspect it might have been a reaction to oats and perhaps unactivated nuts. I’d highly recommend this recipe, lots of requests for the recipe by everyone whose tried it. My pleasure Violet. Thanks for stopping by. This looks so good! Shop bought granola is always full of stuff I don’t want to eat!! Thank you Elaine. It’s all gone already! Ha ha! I’m not surprised! !